Can't make it to an in-person workshop? No worries! 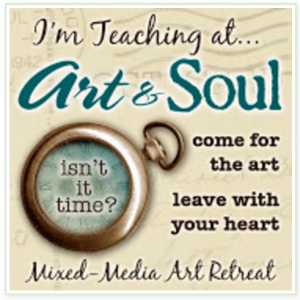 Join me for my FREE Art Journal Mini Course and get creating from the comfort of your own home! In this mini course, I will share with you my favorite materials and demonstrate my most-used techniques in two, beautiful, messy, colorful journal pages! I'll show you how to build up backgrounds and create a gorgeous portrait! This is a self-paced course and the classroom is always open! Sign up below! Sign up for my Free Art Journal Mini Course below! Already a class member? Sign in here. Sign up for my free Art Journal Mini Course! I'll show you some very simple techniques to create stunning portraits! We'll build up layer after colorful layer, learning to let go, trust ourselves and have fun with our art materials! Yes! I'd love to learn more with a FREE Art Journal Mini Course! I respect your privacy. I promise not to spam and you can unsubscribe any time!